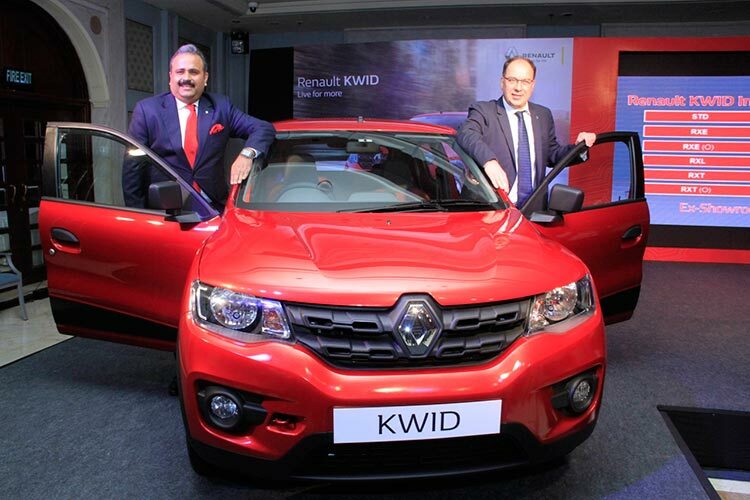 Renault India, one of the fastest growing automotive companies in India has received an overwhelming response for its much awaited global hatchback, ‘Renault KWID’. This Attractive and Innovative car has set a new benchmark in the Indian automotive context. The Renault KWID has already achieved a major milestone by crossing 25,000 booking since its launch announcement. The Renault KWID has created a huge excitement since its launch and we are thrilled with the response it has received just at the on-set of the festive season. The Indian consumer has shown tremendous confidence and trust in Renault brand, the initial response has been very exhilarating and the bookings are constantly increasing. We are witnessing remarkable footfalls in dealerships across all regions since the launch of Renault KWID. The innovative Virtual Showroom and the Renault KWID app have received a tremendous response across India. The tier II and tier III cities have also shown tremendous response reaching out to the dealerships with inquiries and booking requests. Renault KWID was launched on 24th September 2015 with its entry level variant priced at Rs. 2,56,968 (ex- showroom Delhi) which is India’s most fuel efficient petrol vehicle delivering mileage of 25.17 kmpl*. The Renault KWID’s delivery will start in the festive season beginning next week and will be available across all our dealerships across the country. Renault KWID will also be best-in-class in maintenance part costs due to strong localization, which stands at 98% at the time of the launch. This will positively impact the overall cost of ownership cost and will offer a 50,000 Km/2 years Maintenance Policy, extendable up to 80,000 KM/4 years, to the discerning Indian customers. Renault will also offer complementary Road Side Assistance for 2 years. Kwid is available in 5 attractive colors. Renault is also looking at reaching newer markets by augmenting its expanse and penetration with over 205 sales outlets by end of this quarter, targeting the potential customers in the hinterland.